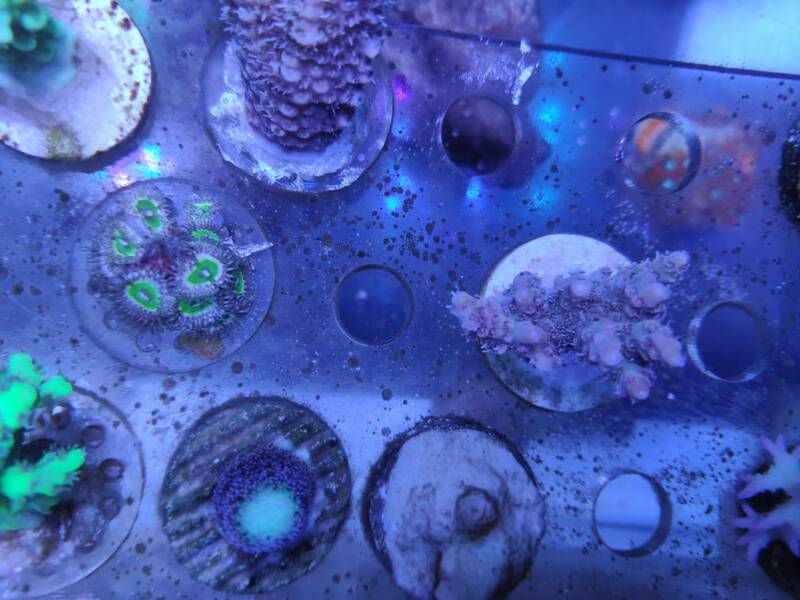 Hair algae problem are solved, very little hair in the glass now and it is food for my Fish. What should i do now. 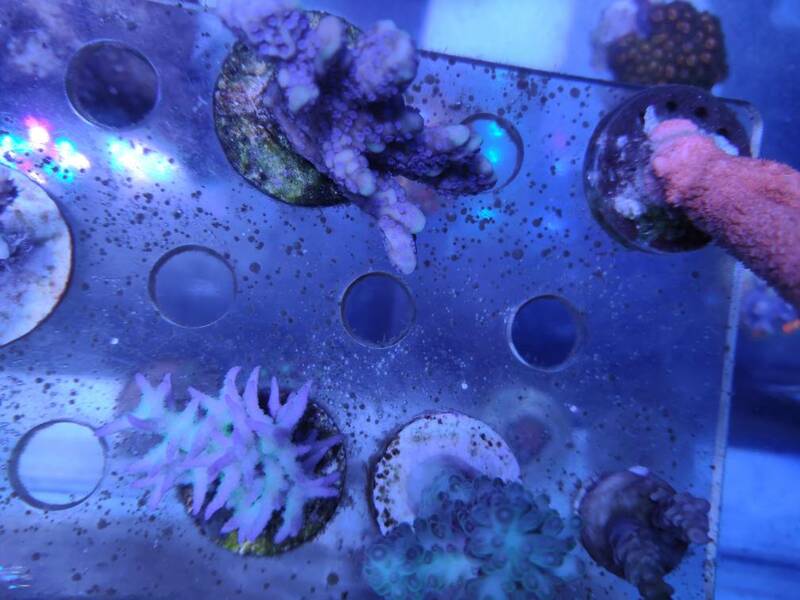 Here are some new picture of my tank. Let help me which not happy and how to improve this. 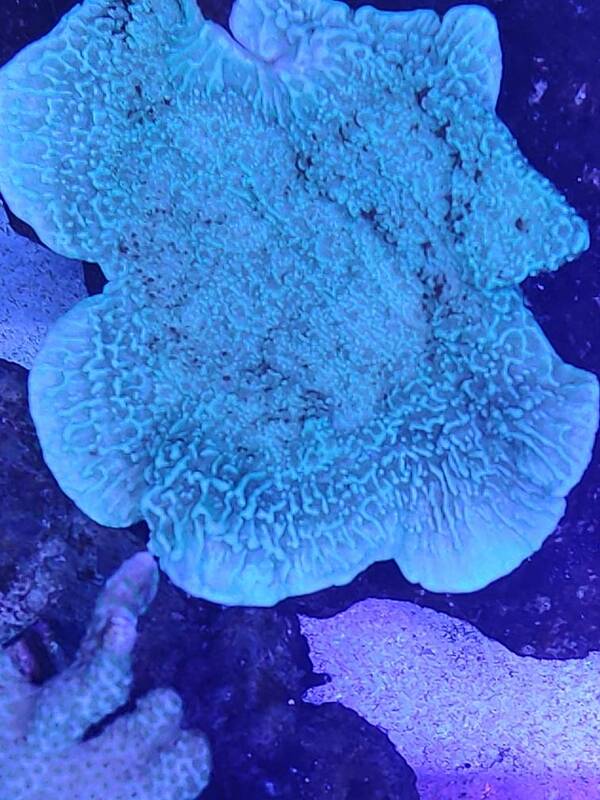 I not sure the coloration of my coral is good or bad, plz comment about that to help me. I am very happy that you have done a good job. Are the algae related to the rock material at the hook? Pleas post your actual dosing regimen and the actual water parameters, also a list of korallenzucht products you already have. 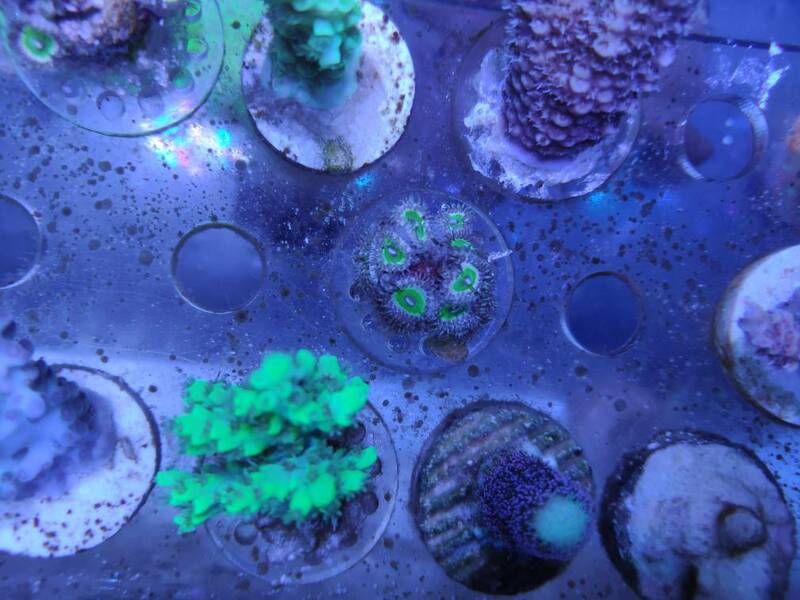 Are the corals growing ? Thank you for the details. The pictures look very blue so a balanced lighting spectrum with not to much blue is usually helpful also. Anyways it might just be the white balance of your camera. 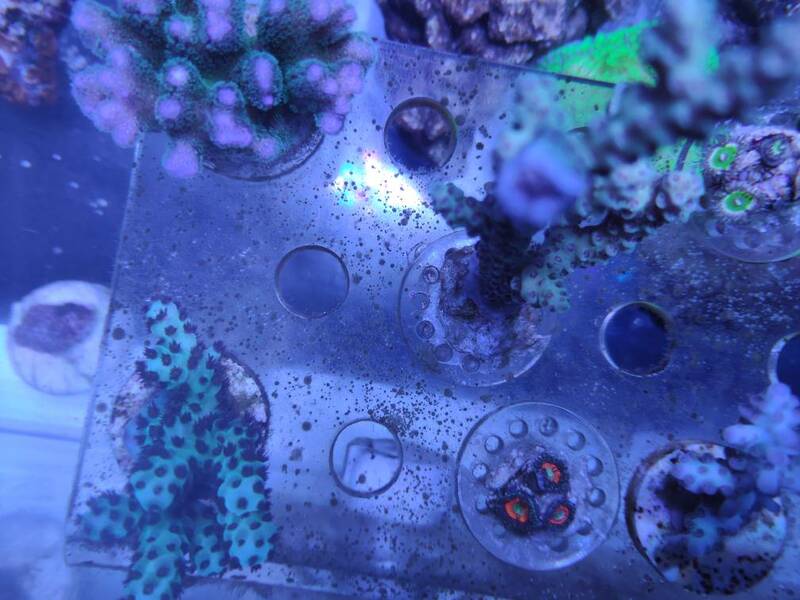 Your dosing regimen and water levels are looking good, as the pictures might not show the real color of the corals can you please try to describe what exactly you like to change ? 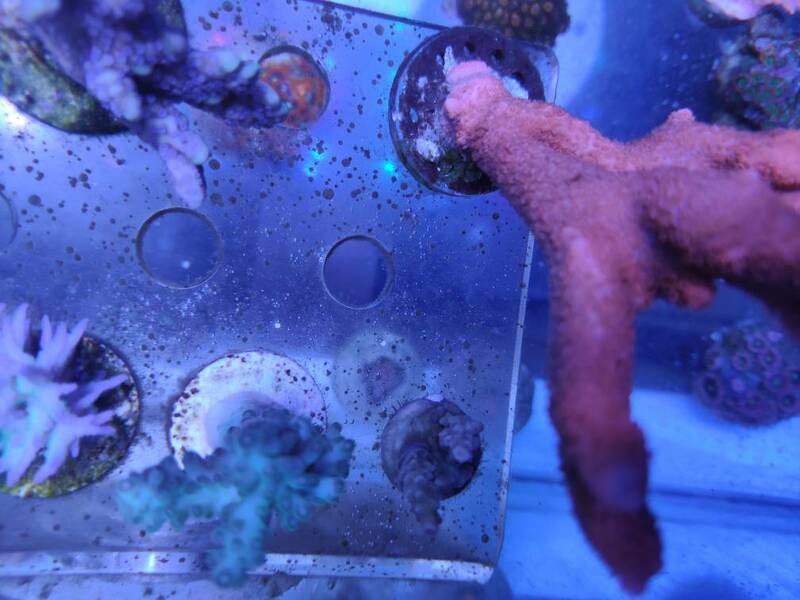 some acopora polyps extensions is not good, not too big. 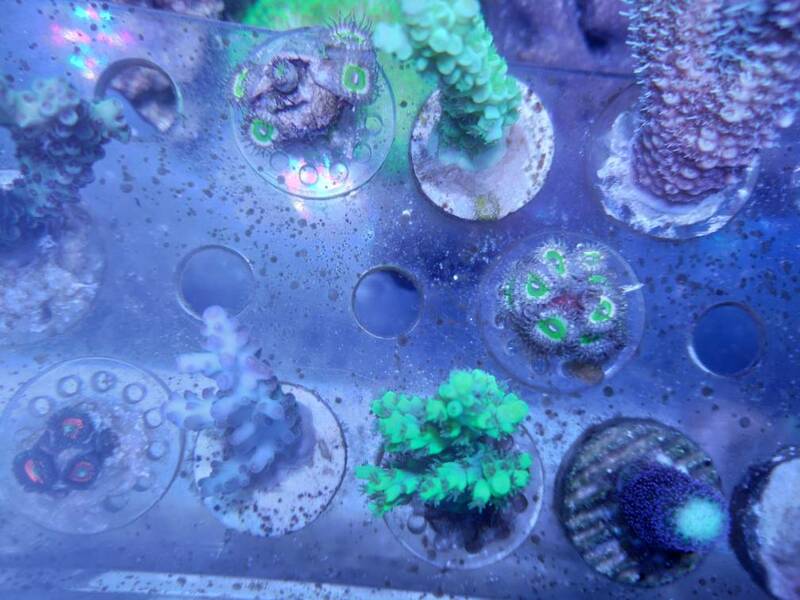 I'm dont have enough experience about coral, i dont know are they happy. 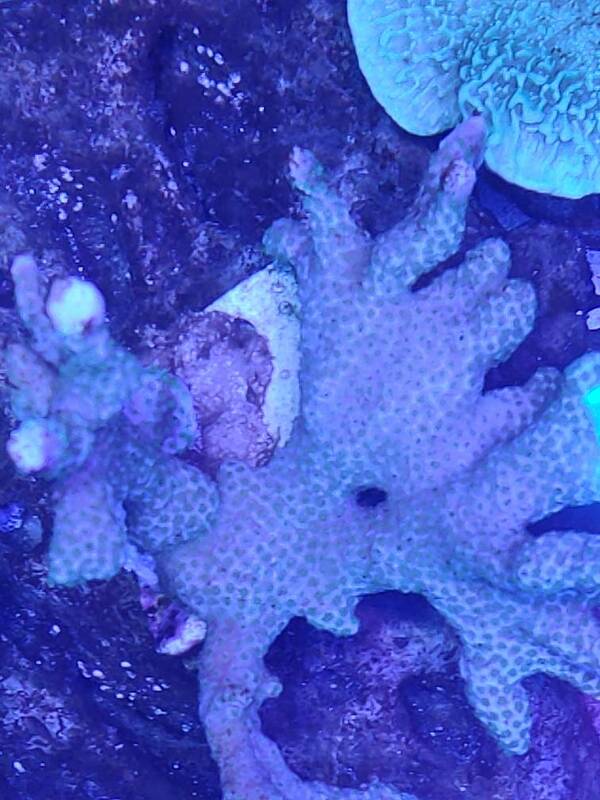 From the pictures I would say the corals are healthy if the tissue is not to light or to thin, I can not really see it on the pictures. If the K+ level is already ~ 380 mg dosing 4 drops Iodine 2 x weekly might improve the polyp expansion but just if you do not have issues with cyanos. Dose i need to test Iodine parameter? What product should i use Idodine complex or Potassium Iodide Fluoride Concentrate. I dont have any problem with cyanos. Both do work fine so it is up to you which one to use. Most people do use PotassiumIodide Fluoride. I have a problem now. 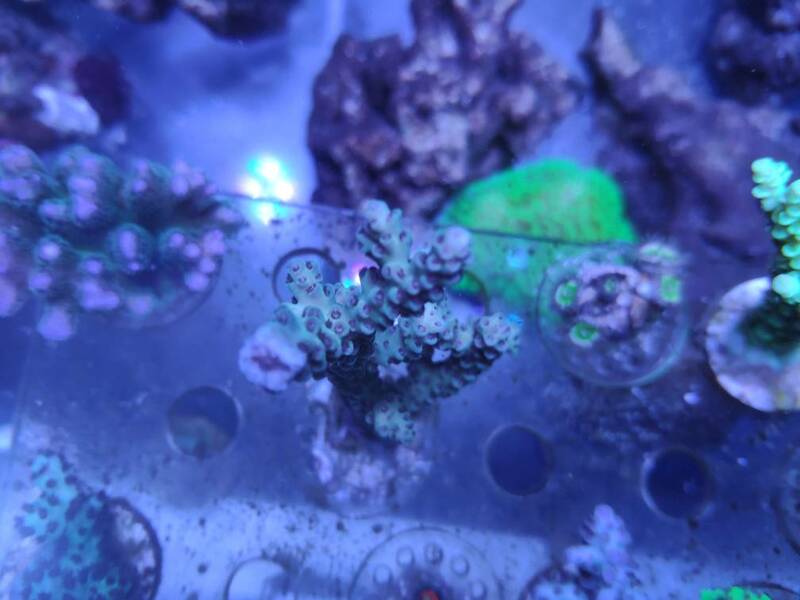 All parametter are good but i dont know why all my montipora are dying, they bleaching white. Can you look at them, clear balance pictures? my tank have 340 lit. I dose nutrition like the manual CV:3 drops/daily Xtra: 3ml 2- 3 time per week, AA 1,5ml 2 - 3 time per week. Do i need dose more.